This is a market I haven’t thought of writing for, and now I definitely won’t! But as a parent it’s hard to find interesting books for my daughter in this category. Some of the series seem very cynically market-driven, endlessly churning out nearly identical versions with different numbers on the spine. Kids deserve good stories at every reading level, especially as beginning readers, and I don’t see enough good books in this category. Well I have one. My book is named Saving Higbee. It’s about four youn brothers who save a Snowy Owl named Higbee from losing his life in a winter storm. It’s based on a real owl who actually did lose his life in a winter storm. In my book he is saved by four little boys, a blackbird named Quinn, Mother Moon, Sofie the house mouse, and Gabriel the striper fish. I have wondered why I don’t see many agents rep’ing these kinds of books, even though it isn’t something I write for. Very interesting post; I love how smart you are about these things! I remember when I thought publishers chose which books to publish because, he he, people wanted to read them. Now I discover that even the physical nature of a book – its spine width – works against the aspiring author! My innocent PME (Pre-Mary Era) days are long gone. I have five kids – ages PB, MG, and YA (an entire test market). Another issue with the early reader/chapter book phase is the school library. As a mother, I’m much less likely to purchase a book they’ll read once when they can get it for free at this age. Mine almost exclusively read series like Junie B. Jones or Magic Tree House books. I think most of books I purchased were Non-Fiction. Once they were old enough for MG and YA, they devoured any book in reach. I purchase many more of these. They still favor series, though. Thanks for answering my question, Mary. You confirmed just what I expected. Guess my picture book goes in the drawer. But what do you make of the “Mercy Watson” series? They are easy readers or chapter books, and are hardcovered with luscious illustrations. Do you think Kate di Camillo has created a new genre? I would love for this format to take off. I love Clementine books. Marla Frazee’s illustrations are reminiscent of my childhood illustration heros: Louis Darling, Robert McClosky, and Robert Lawson. Thanks for making this distinction. It’s true that the spines are so small that early readers standing alone do not get a lot of attention on the shelf. I’m with Renee. 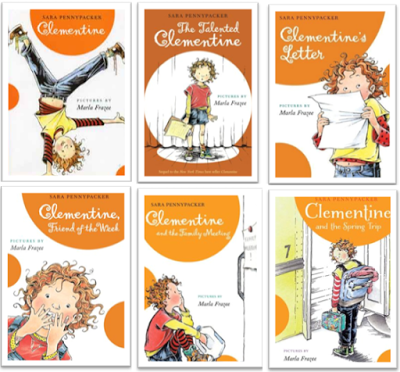 My daughter is reading chapter books right now, but (with the exception of both Clementine and Ivy & Bean and Beverly Cleary), I won’t buy them. The libraries are chock full of them, and since she finishes them in less than a day, it’s not worth even the small price tag. Because UNLIKE picture books, after she’s read one, she doesn’t want to read it again. Picture books are worth the price because they get read over and over again. I never set out to write a chapter book. It just sort of evolved into one. I agree that one needs to know all the ins and outs of writing chapter books. I think the best way is to read them–lots of ’em. And then get some editing help from a professional, if at all possible. I’d heard that chapter books and early readers were a tough market, but had never gotten a really good explanation as to why. Thanks for clearing this up. I’m writing what I’m now calling an “Early Middle Grade” mystery series and I’m halfway through the first book. My protagonist is a 4th grader and it’s coming up a 4.2 reading level. I went back and forth between calling it a Chapter Book or an Early MG and I’d heard from many what you’re saying about Chapter Books and am now hoping it’s within the realm of the MG. Is Early MG a “real” genre? And, if it is, is it selling? Interesting and sobering. My first published children’s book was a chapter book, which became an eight book series. Debut author and everything…the publisher pitched the series idea after reading the first book. Guess my experienced isn’t the norm, sounds like. Thanks for the post, Mary! I would also like your thoughts on where the Mercy Watson series falls in this continuum. They are only about 2,000 words, but they don’t read like easy readers — in other words, they are smart, energetic and funny. But maybe that is just because they are written by Kate DiCamillo! *sigh*. Thank you so much for this post, Mary. I am currently revising my chapter book manuscript and am always on the lookout for chapter book news. Maybe I always knew what you were saying here, but it helps to see it in print from someone like you. Saying that it might be easier to debut with a picture book really hits it home! Looks like a good time to do some research into middle grade to see whether a rewrite is possible or whether the ms will end up in a drawer to await “better times”! Once, while babysitting a friend’s little girl, I read a Dora the Explorer Early Reader to her. There were sentences that made no sense. I mean that literally. There were sentences, in a published Dora the Explorer book, that made no sense. There was no story, although one could argue a series of events took place. The entire thing felt like a book written in French, put into BabelFish.com, and then translated into English. And my friend’s little girl loved it, because it was Dora. So, yes – cynical. Very, very, cynical. Another interesting point: My oldest read Magic Tree House, Nate the Great, but my next two boys are devouring Aaron Reynolds’s JOEY FLY, PRIVATE EYE, the first in a planned graphic novel series. Which makes me wonder how the emergence of graphic novels will affect chapter books and EZ-Readers. However, my kids spent their first few years adoring his picture books (YUCK BUGS, CHICKS & SALSA etc.) So we were already fans. I’ve heard Grace Lin mention this as well. Her readers “growing up” on her books. That has to warm an author’s heart. Early readers and chapter books are a child’s first tentative steps into the grown-up world of reading. Yet all too often they aren’t taken seriously in the world of children’s publishing. Most are written in-house or by packagers, and a few, as Carrie noted about the Dora books, are downright dreadful. Think about the beginning readers that are considered classics: The Cat in the Hat, The Little Bear series, Frog and Toad, etc. Would these books be published today as early readers? I doubt it. I write exclusively about early readers and chapter books at my blog, The Cath in the Hat at blogspot. Thanks for the recommendations! My seven-year-old daughter sped through all of Junie B. Jones and Ivy and Bean. Clementine looks like fun. I’ll give those a try. Just signed on. This is a great site! I appreciate the information on book length. Sometimes writers think this won’t affect them. Publishers won’t really care, but they do. I am in the middle of cutting down a story right now. I found this post very interesting as I’ve made a career out of writing chapter books. My first book, written with Marcia Jones, was a single book that grew into a series of over 60 books (The Adventures of the Bailey School Kids series). I felt there was a great need for this level (as a former teacher and librarian) and I still do. I think publishing has been difficult lately for all genres. I am lucky to have a new series with Simon and Schuster called Mermaid Tales. Debbie, I am so glad you stepped in with the Adventures of the Bailey School Kids! My second and third grade students have so enjoyed them through the years! I’d like to hear your thoughts about Mercy Watson as well. The first two books in my series of early chapter books, “The Doodles of Sam Dibble” was recently released by Grosset & Dunlap (Penguin Books for Young Readers.) Check out the blog, “Pub Crawl” to read the interview I did about getting pulled from the slush pile. Chapter books and early readers are important stepping stones as they advance kid’s reading skills and gives them the confidence to move on to more challenging books. I’ve wondered if you could try to pitch your early reader books as a learning set and that would make it more publisher worthy. I taught one of my children to read using a homeschooling book ‘Ordinary Parents Guide to Reading’ by Susan Wise. One complaint by many parents was the lack of guided reading material to go with the book. The third set of BOB books were too hard if you followed through only the first 133 of 230 lessons in Susan Wise’s book (she doesn’t believe in sight words!) and kids were itching to read ‘real’ books but quickly became overwhelmed with all the sight words. It’s funny because I never thought of Chapter Books as an actual market and at first must confess I was confused. I thought of Chapter books as, “any novel with chapters” the only reason I ever referred to the book as a chapter book was to denote that unlike my peers I was reading a book that was slightly more complex than them. Smile!… can anyone recommend a book or article that offers authors clear guidelines for early chapter books. I have a series of books that fall into this category and I need to know how to fine tune my series so that they meet early chapter book standards. Thank you in advance! I love the whole Children’s Fiction genre, but I must say that chapter books and early readers are my two favorite areas. My first book, Little Kids, Big Voices: Broccoli Chronicles which will be published in December 2014 is a chapter book. Chapter books allow you to discuss some adult concepts, but from the point of view of the child. You are able to introduce some complex vocabulary, but still focus on the innocence of the characters. All I can say is, that’s really a shame. Think of all the great stories – all the great characters that will never be discovered – simply because publishers only want to put out the “sure thing” – something commercial like Dora the Explorer. 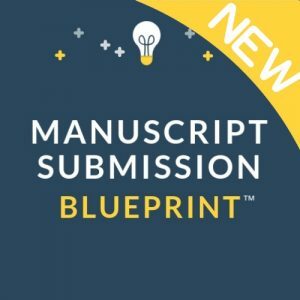 What about unique characters – quirky unusual stories that are NOT so commercial…..if Juni B. Jones or Ivy and Bean manuscripts were submitted brand new currently, they probably would NOT get published. And what a shame that would be! Pingback: WVW Contest F.A.Q. #22 | West Virginia Writers, Inc.
As a third grade teacher, I find it such a shame that publishers aren’t willing to take more risks with the early chapter book market. I feel like this is a pivotal age. 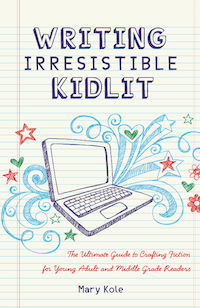 If I can hook a reluctant reader on an interesting series in third grade, I’ve found I can help them truly discover a love for reading that lasts. I wish there were more interesting books, especially for boys, that were written on a second and/or third grade reading level. I love early readers, as a writer and literary agent. I am having a hard time finding anyone interested enough to publish them…and there is a need. How would you all feel about self-publishing? or perhaps I should just start publishing them myself! I submitted my manuscript to a few literary agents and was rejected. It was hard to accept at first because I knew that I had a fascinating and inspiring story for kids. I later self-published, Broccoli Chronicles. It’s been available for about a month now and I’ve gotten some pretty good reviews and feedback. The big publishers and agents are sometimes wrong and in this case, they were. I’m brand new to the writing scene and have started writing my first books that are in a series. I guess I’m a bit frustrated after reading this article. Will I have a hard time finding an agent and then publisher to print my books? I have had people tell me that my books are early reader although I would much rather them be considered early middle grade readers. Now I am doubting myself because of this article. DARN IT!!!! Clementine is a great book series take it from me because I am a kid & I have nearly read all of that book series & so far I love it.I recommend an author named Roald Dalh he created Charlie & The Chocolate Factorie,Matilda,Fantastic Mr.Fox,also The BFG which is soon to be a Steven Spielburg film this upcoming Summer. I was doing research and came across this. This was written in 2010. Is this still the current trend? Yes, if anything, the market is even smaller for debuts in both early reader and chapter book. Middle grade, meanwhile, leads the pack in terms of energy and excitement and potential. Thank you for the updated information. I will keep that in mind.